As the summer comes to a close and Georgia’s harvest season nears, Queen Tamada, a Tbilisi-based company that provides wine tours across Georgia, will host a special seminar at their headquarters in suburban Tbilisi. The seminar will focus on the evolution of the qvevri, the iconic egg-shaped clay vessel that has been used in the winemaking process in Georgia for nearly 8,000 years. Discover Georgia caught up with Queen Tamada’s Director Giorgi Dartsimelia to learn more about the qvevri, its importance to Georgian culture and identity, as well as where Georgian wine stands on the global wine market. Why is the qvevri so culturally important to Georgia? The qvevri is part of the Georgian identity. This is also a message that Georgia can deliver to the rest of the world. There are things that keep going non-stop for many millennia. For this method of winemaking, it seems that time is meaningless – it continuously connects current qvevri wine lovers with the very first method of winemaking. This reconnection with ancestors seems to be very important for Georgians. Even today, as wine technologies have significantly advanced throughout the world, Georgians insist that qvevri wine should be among the internationally recognized wine styles. The qvevri at that point, also becomes a tool to introduce Georgia to the world. What is the main difference between qvevri-produced wine and modern European method of wine production? The one significant difference between Georgian qvevri wines and European wines are white wines. During the European winemaking process, white wines are made without skin contact. We have very distinct terminology for viticulture and winemaking. Georgians refer to the process of making wine without skin contact as ‘without mother’. So naturally, when making wines using the qvevri method, it is referred to as ‘with mother’. This is the main and most significant difference of the qvevri method compared to European winemaking techniques. Another important difference is found in the qvevri vessel itself – this is a clay jar used for both the fermentation and the maturation of wine. The qvevri method is becoming very popular in the country, as well as internationally – especially in Europe. Do qvevri wines have a noticeably different taste? They do of course. There are three significant differences. The first is the taste of light oxidation – a result of the pH micro-oxidation caused by the fermentation in the qvevri vessel. The second difference is the considerable amount of tannins (these are missing from European-style white wines), which is a result of the skin contact (the Kakhetian method has even higher tannin content due to the stems being added during the fermentation process). Lastly, qvevri wine has a much higher complexity in both aroma and flavour, which is also a result of the skin-contact (the skin provides additional aromas and flavours to qvevri wines). Has qvevri wine caught-on outside of the post-Soviet space and how much do Europeans and North American know about Georgia’s qvevri wines? Georgian wine. Nevertheless, qvevri wine popularity is growing dynamically – obviously creating a very distinct niche in the world’s wine market. In terms of percentage – not a lot of Europeans and Americans know about these wines. However, there is a growing awareness and the wine world and experts especially know quite a lot about qvevri wines. They will play an important role in raising awareness about these wines going forward. 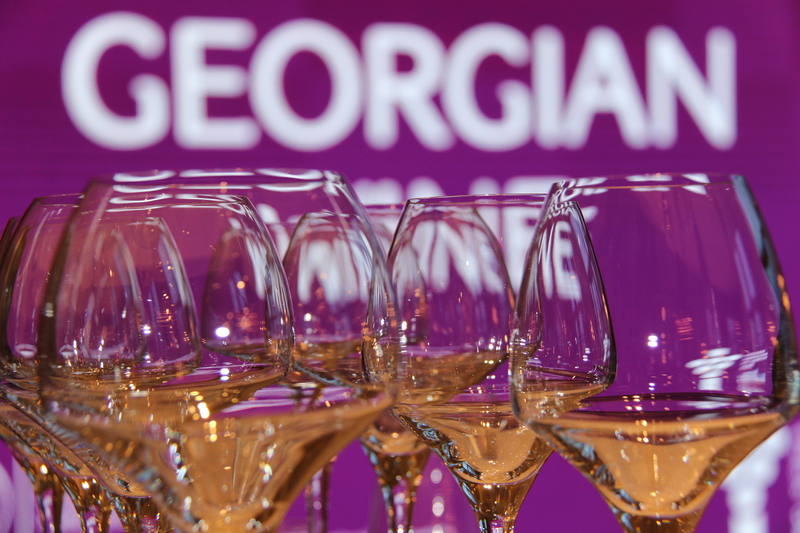 How can Georgia further promote Georgian wine outside the country? I believe Georgia’s winemaking future should rely more on wine tourism than on wine exports. The Swiss example is very important to consider here. Switzerland exports only 2% of its wines. Why? Because Swiss wine tourism sells the rest. Georgian wine tourism is not only an addition to Georgian tourism, it is indeed a strategy for Georgia to sell its wines at a higher value. Of course, this will not only result in higher incomes, but also in the production of more interesting, higher quality premium wines. The Qvevri Evolution seminar takes place this Wednesday, August 30 at the Queen Tamada headquarters. Everyone is welcome and no special wine knowledge is required. Everyone interested in human history, culture (especially wine culture) and arts are welcomed to attend the seminar. For more information and directions, you can visit the official event page on Facebook here.